If you're in pain, we will see you today. That's our promise to you. We take your dental pain extremely seriously so we have set aside time each day just for emergencies. We are here to stay! Marius Street Family Dental has been around for more that 70 years. You can rest assured that we will be around for many, many more years to come. That's why we focus on giving you a lifetime treatment plan rather than patching things up -- we intend to be there for you to maintain, check and follow through on your work. Crown and bridge work done with us is guaranteed for 5 years. Extended opening hours. We have extended our normal 8am-6pm hours to 8:30pm on Thursdays. We are also open from 9am until 1pm on Saturdays for your convenience. Dedicated preventative dental team of therapists and hygienists to give you individualised instruction on preventing caries and gum disease. Nervous? We have happy gas and other options if needed to help you have a pleasant experience. Our friendly team will do all we can to make dentistry as comfortable as it possibly can be. 10% discount with a Seniors Card! No gap payment for Medicare's Child Dental Benefit Scheme: $1000 of dental support for those eligible. HCF and Westfund preventative providers, meaning you get the most out of your health fund claims. Tamworth Implant Clinic offering single tooth, multiple tooth or immediately full arch tooth replacement. · Treat the cause not just the symptoms. Look at the big picture rather than each field in isolation. This means going the extra mile. It means listening to you, taking the time to find the cause of your problems, and making sure we are doing everything we can to find the right solution for you. All of this tailored to your Budget, Needs and Wants. We apply this to everything we do. In diagnosis, the cause isn't always dental. Is it airway, chronic pain, medications, diet? We make sure we broaden our knowledge so we aren't just focused on the teeth. Often the teeth just show the symptoms of a different issue. We are very prevention focused. 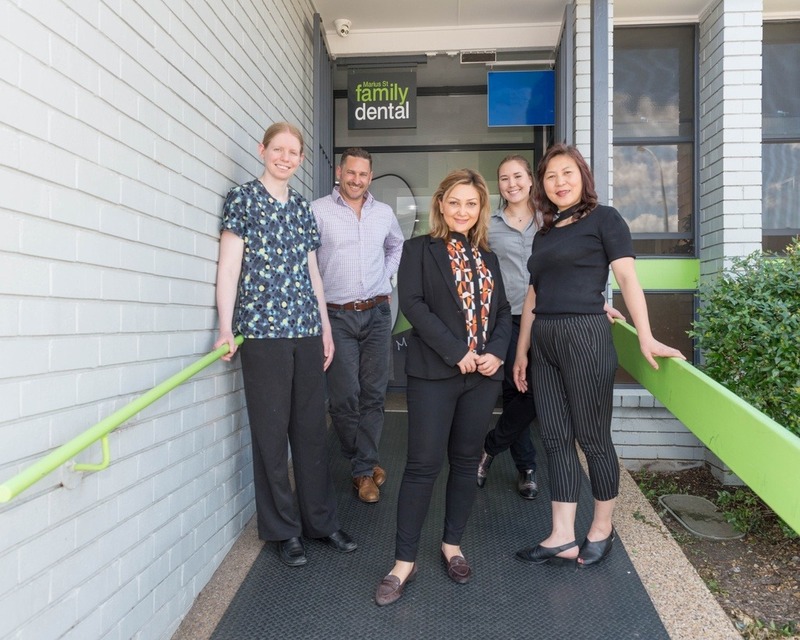 We have a dedicated preventative team that will assess your diet, lifestyle and oral hygiene habits to do their best to figure out why you are getting decay or gum disease, and then make a personalised plan tailored to your needs. We take this a step further for children. Can we prevent big problems like crooked teeth, decay, future pain by getting to problems early, while children are still growing? This is why we set up a special area just for children. Please read our webpages dedicated to children's dentistry for more information as to why children get decay, why children grow up to need braces, and more. What do we mean by life-time dental care plan? It is one thing to build up worn down teeth. But why are your teeth worn down in the first place? It is much harder, and time-consuming, to try and find the cause of a problem than to just look at symptoms. But that is exactly what we try to do. We are expanding our education to also look at snoring, airway, headaches, chronic pain, posture, muscle issues and more as we know that your mouth and teeth don't exist in isolation – everything in the body is connected and affects each other. · Extended opening hours. We have extended our normal 8am-6pm hours to 8:30pm on Thursdays. We are also open from 9am until 1pm on Saturdays for your convenience. · In-office x-ray room that allows us to take OPGs and 3D xrays right there, so you don't need to go to a different x-ray clinic. · Everything under one roof: all general dental services, orthodontics, implants, smile design and cosmetic dentistry, build-ups of worn down teeth, treatment of jaw-joint pain and more. Our fee guarantee: We guarantee our fees will never exceed the Australian Dental Association's (ADA) average Australian fees of the previous year. We are a family owned practice who have been a part of the Tamworth community for 16 years, and so we strive to serve this community and provide the best value we can. We will never aim to be the cheapest in town, we believe it is better to do the job right the first time around. § HCF (preventative) preferred providers, meaning you get the most out of your health fund claims. As preferred providers, we use HCF item numbers and their fees. Using these gives you the absolute maximum rebate on each part of your dental procedure, meaning the smallest gap for you. It provides you with the certainty of up to 100% back and at least 60% back on most general and major dental services. **Subject to your level of cover and available limits. We can contact your health fund with you to check. Please feel free to discuss your financial situation with our staff. Serving our community is our priority. We will do our best to help you. 1. If you are in a health fund: Health funds are notoriously difficult and confusing! Let us help decode what it all means. We can contact your health insurance together with you and then tailor your dental plan around your cover. We can provide a print out of all the item numbers of your treatment plan, which the health fund can then use to tell you exactly how much you are going to get back. Our Hicaps machine lets us claim your health fund rebate on the day using your card, so you only pay the gap. That means no more going to the funds to claim your rebate! 2. Prepayment plans. When we see you, we will let you know what treatment is urgent, and what treatment can be done over several years. This means you can plan ahead rather than being caught off-guard for major dental work. Prepayment plans work like a lay-by where each week, fortnight or as you feel like it, you transfer money into your own account with us and this goes towards your future/planned dental treatment. This has several benefits; it means you aren't put in a situation of paying for all your dental treatment in one day, it shows us you're serious about improving your dental health, and allows us to see what sort of time-frame you need to complete your plan and we can work around that. Although our policy is normally that all invoices are paid on the day of treatment, we do understand that this is not always possible. For this reason, we offer payment plans which allows you to get the treatment you need, and then spread the cost over a period of time that suits your budget. Our wonderful practice manager, Barbara surprises many people with how affordable she can make dentistry. She will sit down with you one-on-one and personalise a plan of action for you. Please call (02) 6766 1766 and ask to talk to Barbara. We provide a warranty for crowns for 5 years if they have been done with us from start to finish. This does require you however, to attend regular check-ups and preventative appointments to assess for recurrent decay or any other damage to your teeth early so it can be treated promptly. We are here to stay. As a family-run practice, we are part of your community too. We are not a health-fund owned practice or a corporate dental practice. What does this mean for you? It means we honour our work. It means we always have the long-term in mind because we know patching things up might be the easiest thing to do today, but will come back harder to fix later. It means no short cuts and no cheap materials, only the best dentistry we can deliver. 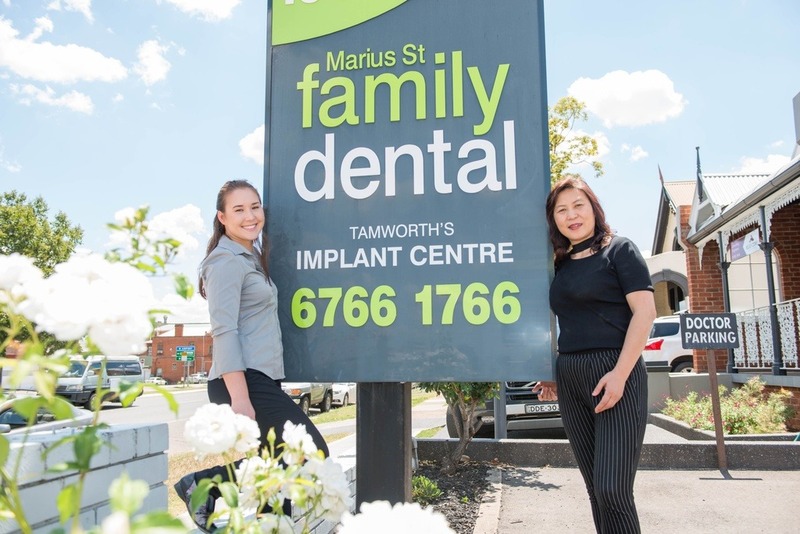 Marius Street Family Dental has served Tamworth for 70 years, and we have every intention of being here for another 70 years. Implants: if you have an implant placed with us, we can guarantee that we only use the best brands and companies that assure us that their parts will be available for the next 100 years. All materials are certified – which is important as you need to make sure its medical grade titanium that is being used. This fits in with our philosophy of life-time dentistry. Many patients don't know that there are many, many different implant manufacturers and systems. Why is this an issue? If you get an implant that doesn't use a major system, it will be very hard for you to get that implant serviced because dentists won't have those implant-specific parts. Sterilisation: In accordance with the Infection Control Standards by the Australian Dental Association (ADA) we use the latest Class IIB Autoclave to sterilise our instruments. We follow strict sterilisation protocols for every single patient. We have recently attended the latest Infection Control courses and made improvements to our protocols so you can have peace-of-mind that your family is safe and taken care of. If you have any questions, please talk to our Infection Control Officer, Amie. In addition, if you are in a Health Fund, always make sure you ask your fund how much they will pay for the treatment, and then make sure you bring your fund card in with you each time. We have replaced the old chemical-developed x-rays with the latest digital and phosphor plate xrays to reduce the radiation exposure to you. This also means that x-rays can be seen almost instantly, and can be emailed or printed. § We keep up-to-date with new dental developments and are always attending further education to make sure that we are always improving our techniques, knowledge and machines. We have replaced the old film developed xrays with the latest digital xrays and phosphor plates to reduce the radiation exposure to you. Radiographs are seen quicker reducing waiting time and can be emailed or printed if your other clinicians need to see them. We only take xrays to assess your decay rate, for early prevention and diseases/conditions currently unseen by eye. Certain situations affect xray taking, for example pregnancy, so please let your dentist know if you are pregnant. Dr Min Stephenson, her daughter Dr Vera are extremely passionate about dentistry and love that we can work as a family. We have a great team around us and amazing patients. We hope you will feel as welcome and at home in our practice as we do in Tamworth. We understand that going to the dentist isn't always a nice thought, but we do try to take extra measures to do what we can to make it as comfortable and stress-free as it can be. Dr Min Stephenson has undergone extensive continuing professional development to gain an understanding of many specialty areas of dentistry. This allows her to assess your facial muscles, posture, jaw joint, jaw development and more to give you the bigger picture. We combine specialty fields such as orthodontics, implants, myobrace, smile design and cosmetic dentistry with general dentistry to give you a comprehensive assessment. We guarantee our fees will never exceed the Australian Dental Association's (ADA) average Australian fees of the previous year. We are a family owned practice who have been a part of the Tamworth community for 16 years, and so we strive to serve this community and provide the best value we can. We will never aim to be the cheapest in town, we believe it is better to do the job right the first time around.